The video is long, but an excellent overview of Wattpad’s features and teen appeal: storytelling that is multi-format, multimedia, and social. 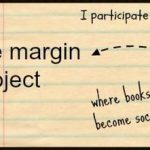 (In-line comments and chatty author’s notes erase any space between writer and reader, and comments often influence the direction of a serialized piece.) At 18:43, host (and YALSA president!) Candice Mack asks what type of support educators and libraries can provide to Wattpad users. Kassandra notes Wattpad’s ease of providing feedback and challenge exercises, and Jing Jing points out Wattpad’s untapped potential by educators as a network for consumption, collaboration, and creation. So…what is Wattpad’s impact on teen collections? Well, there’s the obvious incubator for print books. After is more new adult than teen, but having begun on Wattpad, will have its share of teen readers. (Its Wattpad version remains freely available, while its print version has been released in “an extremely fast publishing cycle aimed at fostering binge reading” — something else that will appeal to teen series readers.) Ali Novak’s My Life with the Walter Boys (a Teens’ Top Ten of 2015 — coincidence?) began as a Wattpad book, as did Lailah by Nikki Kelly and UnSlut:A Diary and a Memoir by Emily Lindin. Some efforts aren’t in print, but their impact as teen creations is notable. The annual Wattys Awards celebrate the best in digital storytelling. YA authors have taken notice of Wattpad’s social capabilities, too, joining to add bonus content or host contents, from Jennifer L. Armentrout to Maureen Johnson to Lisa McMann to Rainbow Rowell. 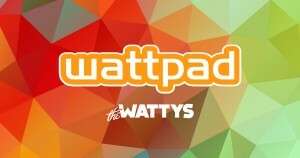 The Wattys are Wattpad’s own contest and awards, leading to extra recognition for Wattpad books and e-books that you may see elsewhere on the Internet. If your teens are author superfans OR budding writers, you’ll want to know about Wattpad. “A lot of people are lamenting the end of the novel, but I think it’s simply evolving,” explains Charles Melcher, a publishing consultant who hosts the annual Future of StoryTelling conference. 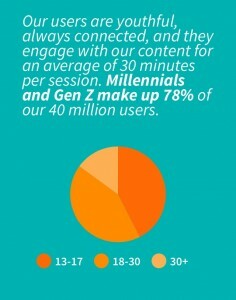 Wattpad is certainly a teen-dominated platform, and one that I’m glad I researched. What angles have I missed? Are your teens into it? How do they use it? Share your thoughts in the comments!